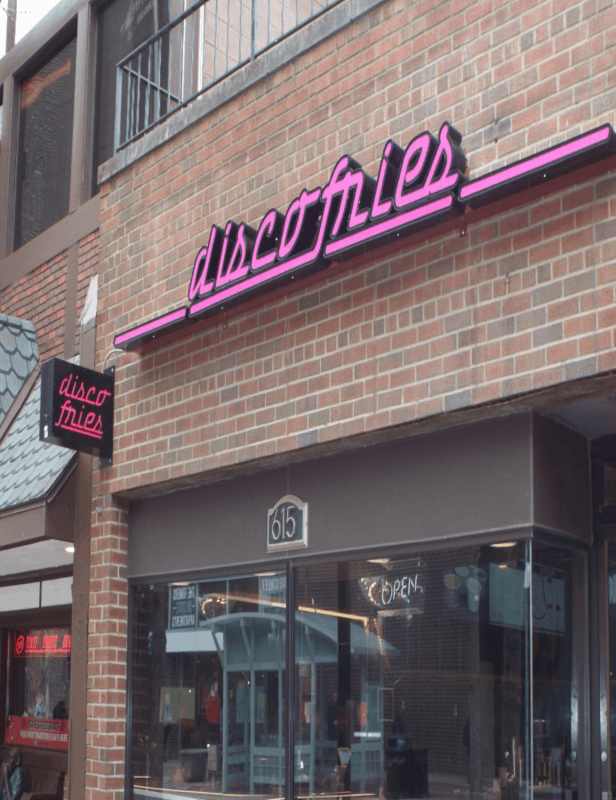 Disco Fries looking to open their second location in Madison, WI reached out to KSW Construction for help with remodeling an old State Street location. 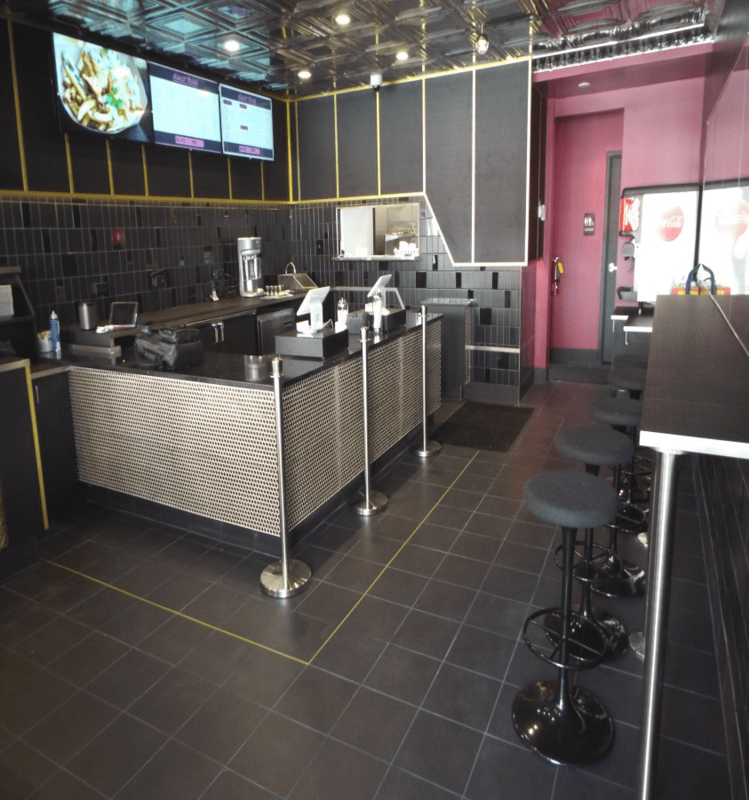 Due to the long standing previous tenant, the location needed a full interior demolition and remodel. Changes included updating all electrical. Disco Fries staying true to their name went with a disco vibe throughout the space. Using brass and chrome accents, black tile flooring along with premium natural sparkling black quartz countertops really complimented the disco atmosphere. 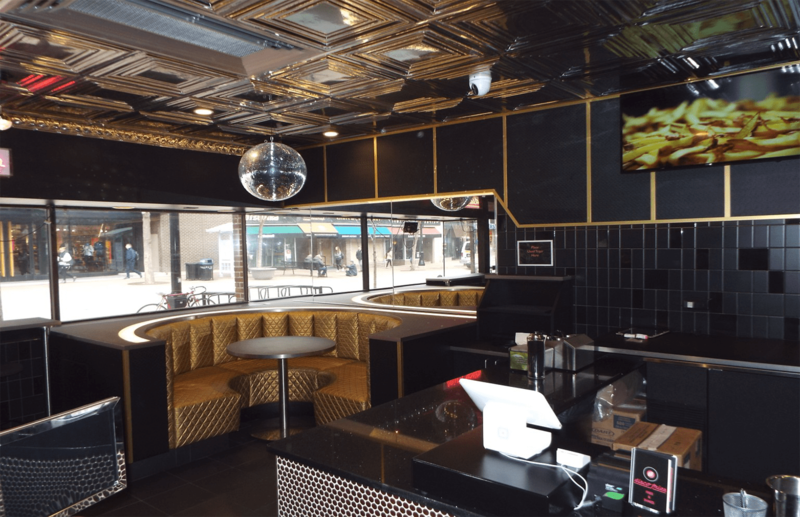 Having limited room, a custom made round booth was made in addition to bar seating to still give guests the opportunity to stay around and soak up the disco feeling. You can’t have disco without a hanging disco ball, so of course one was added to complete the look.